Robert Trent Jones Jr. 1992 18 72 7134 45 minutes from downtown. 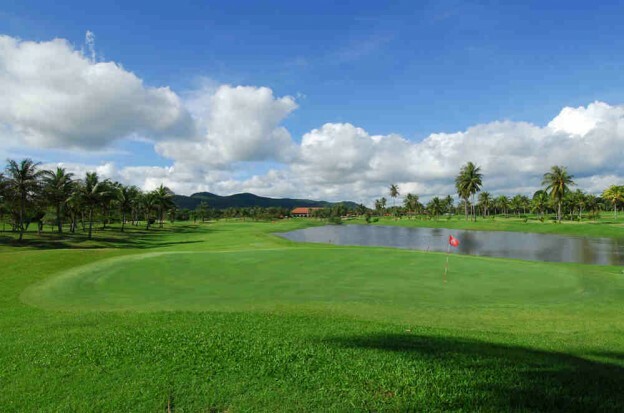 The Eastern Star Golf Club is situated 45 minutes from Pattaya and is located near the Gulf of Thailand, Set in an old coconut plantation it features thousands of coconut palms. Designed by Robert Trent Jones Junior Eastern Star is a ‘thinking man’s course that has plenty of water hazards and dog leg holes along its 18 fairways. The course has 11 lakes with wide fairways and sandy terrain and 65 bunkers. Being close to the sea there is always a cooling breeze. It is both a local and regional championship course that offers plenty of challenges for experienced golfers, whilst also being an enjoyable course for beginners.